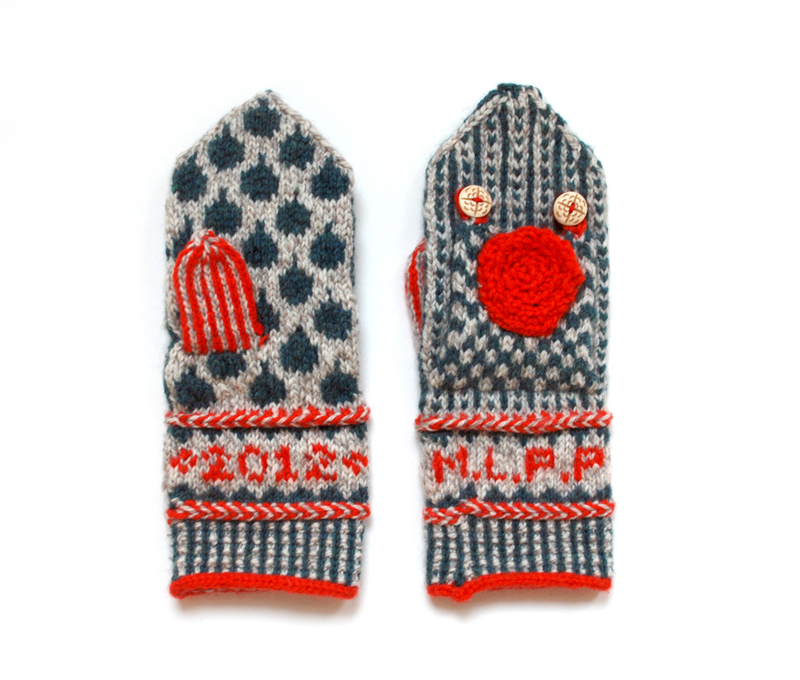 Mittens are objects that are frequently used and thus frequently misplaced. In an effort to prevent this loss, a "crying" alarm is installed in the mitten if the hand is out of it for too long. An event failure alarm was modified to include a recordable audio player (like the ones found in stuffed animals) and a switch inside the mitten. 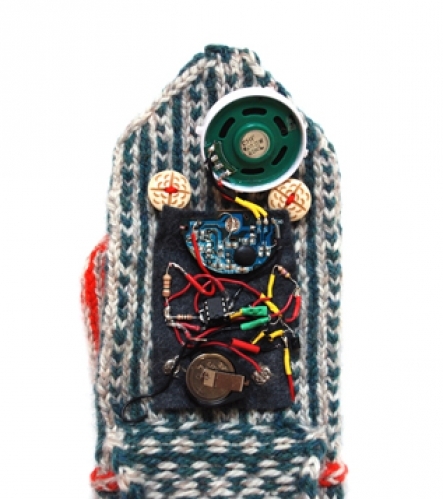 The mitten was hand knitted especially for this project, which includes a flap for easy access to the circuitry and a separate pocket for the speaker.